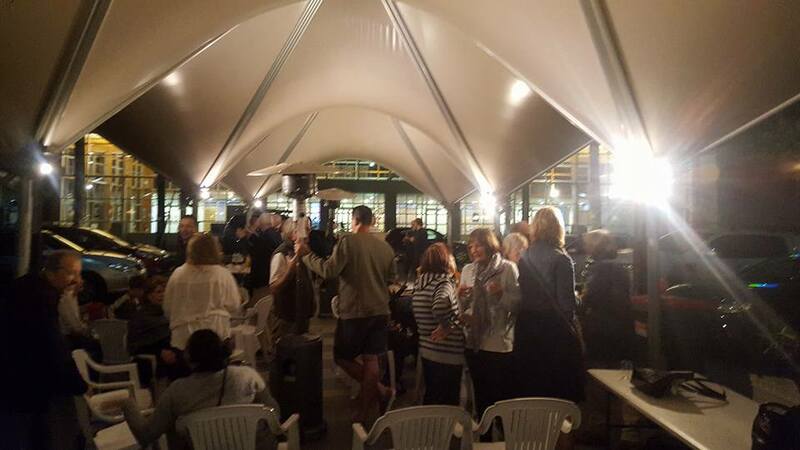 Join us at the Friday Night Community BBQ under the sails in The Piazza. Everyone is welcome - young and old, short and tall! The BBQ is held every Friday night, except a few weeks over Xmas / New Year and Good Friday. It kicks off at 6:30pm and runs through until 8:30pm. BBQ food is generally hotdogs or sausages, rissoles and minute steak in a bun with onions and sauce. Each serving is $4. Soft drinks and water are provided free of charge. Plastic drinking ware is provided. Please bring your own alcohol. 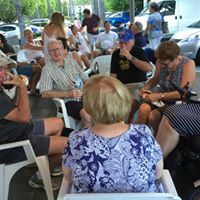 Funds raised from the BBQ go to support our community events programs, like Music in The Piazza. 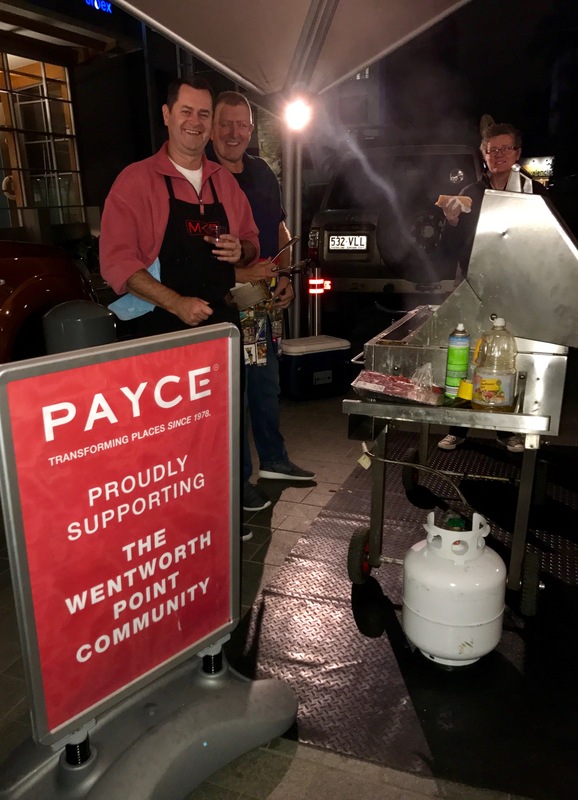 The Kayak Club hosts the BBQ on behalf of Wentworth Point Community Central. Volunteers assist with the event, by cooking, collecting money or helping with set up / clearing up. Johnno is always on the lookout for helpers. If you'd like to help, please click here to email Johnno. The BBQ has been running for almost 10 years. The purpose is for people to relax at the end of the week and catch up with their neighbours. Many friendships have been forged at the BBQ, and even romance has been known to happen! Everyone is welcome to attend. 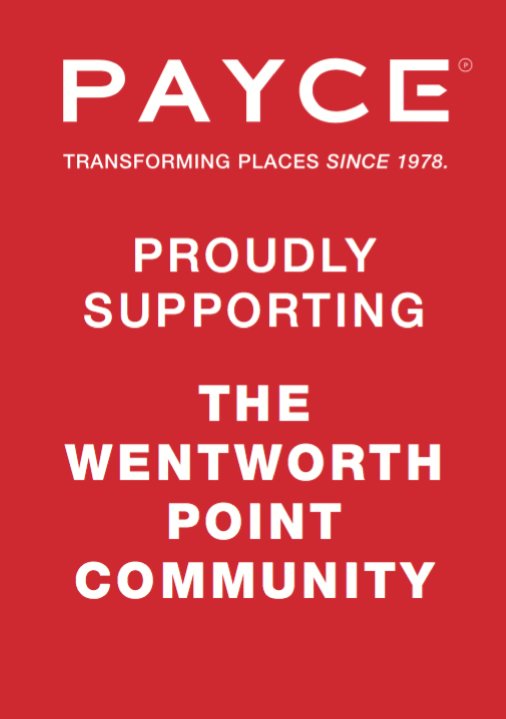 If you don't know anyone at Wentworth Point, this is one way to meet people. There are a regular crowd who attend most Fridays, but there are always new faces coming along and the regulars are on the lookout for newbies to introduce around. If you're new, please let someone behind the serving table know, and they'll make sure you meet some people. 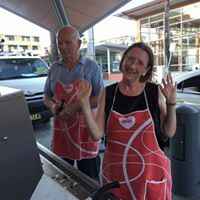 A particularly good way to meet people is to volunteer to help out at the BBQ. That way, you'll be talking to people all night! After the BBQ, some people follow on to the local restaurants / bars for a drink.